St James Conservation Area - Hanmer Springs Horse Riders Inc.Hanmer Springs Horse Riders Inc. The St James Conservation Area (sometimes abbreviated as SJCA) is the trekking area which our club has adopted as our home territory. There are many rides and treks in the area, from ½ day to 6 day rides. As the Department of Conservation (DOC) describe, the St James Conservation Area is located on three mountain ranges and encompasses exceptional natural features and recreation opportunities. Glaciated valleys, glacial moraine deposits, streams, wetlands, lakes and high altitude tarns all dominate the area. The Waiau River runs north to south through the St James Conservation Area. 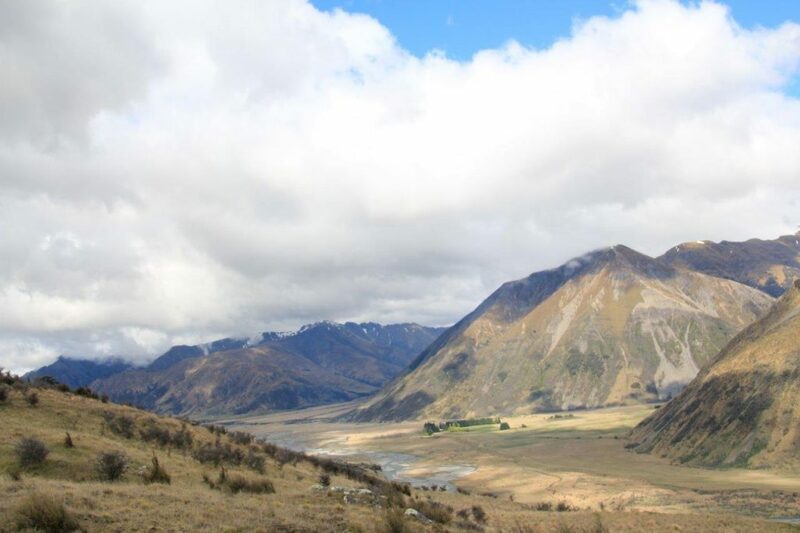 The western side, from Lewis Pass to the Waiau River is characterised more by mixed beech forests, open river flats, tussock tops rising to rocky snow mountain tops. In contrast, the eastern side is drier, open country with magagouri, exotic grasses, regenerating shrublands and mountain lakes. 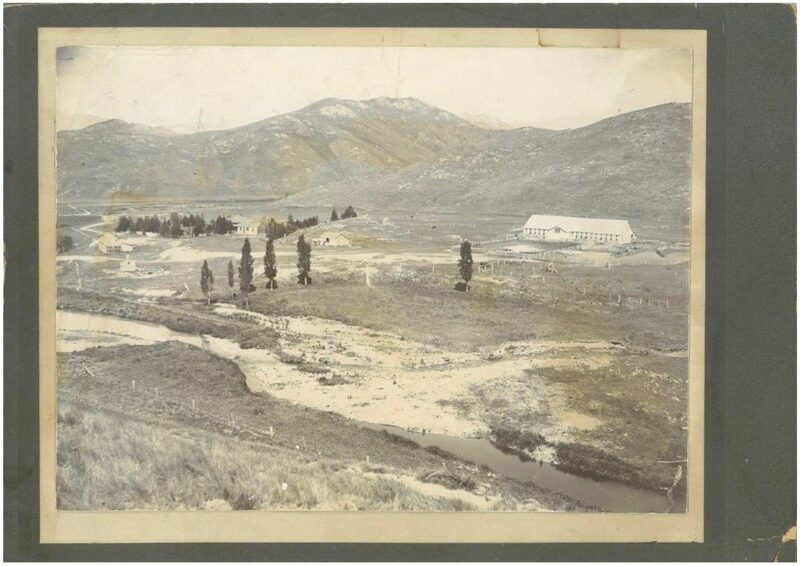 The St James Conservation Area was one of the largest operating cattle/sheep stations in the country, dating back to 1862. Read the DOC website information and download brochures. Click here. More on the history of the area. Click here. 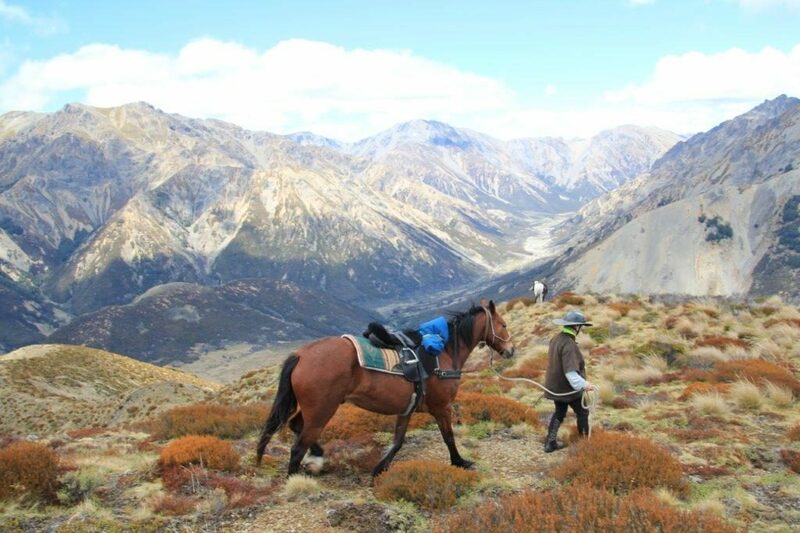 From the DOC website: You can take your horses through most of St James Conservation Area, with the exception of the St James Walkway and the privately fenced land around Ada homestead. 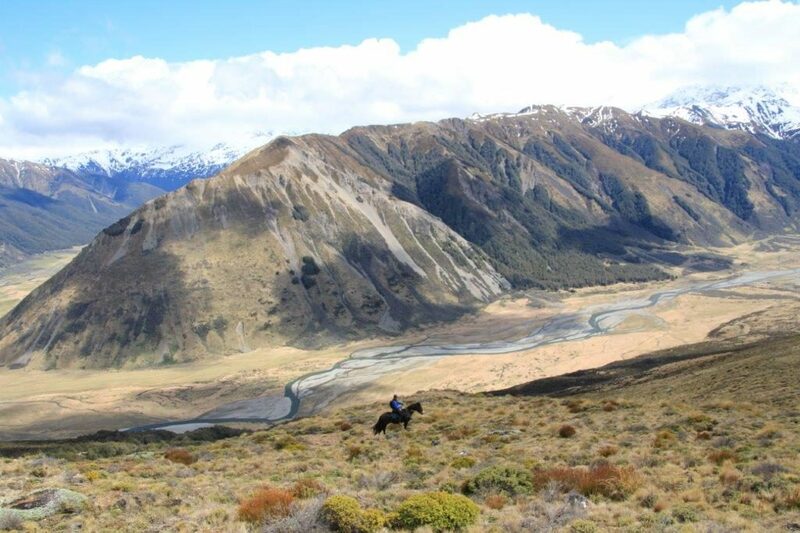 Horses can follow most of the mountain-biking tracks – except the 5 km of mountain-biking track from the Maling Pass-Waiau River junction to the turn-off to Lake Guyon, as this section of track is too narrow to accommodate horses, walkers and mountain bikes. Read the code of conduct for riders and the areas that can be accessed on the DOC website. Click here and click on “Other Activities”. 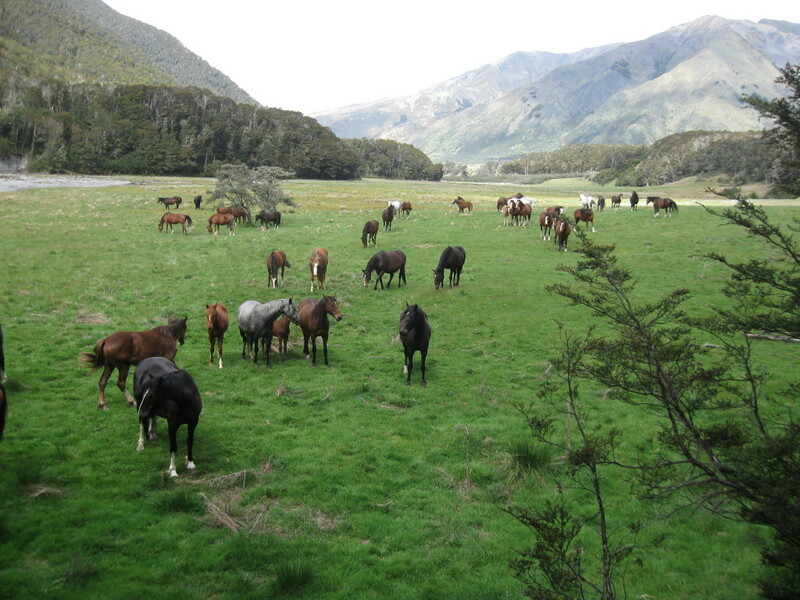 From DOC: The St James horse herd can be seen around the Henry, Waiau and Ada river valleys. These horses are mustered and the off-spring removed and sold every two years. A stallion and up to 30 brood mares are contained within the Henry River catchment (which includes the Henry Track and access to Anne Hut). Leave the gates closed at all times. The horses are technically wild as they cannot be handled and will generally move away from visitors, but do not chase them and avoid contact with the stallion and mares with foals at foot. For more information, contact the DOC office during office hours. There is a triennial sale of young horses from the St James herd. Click here. More images of the herd and the last muster are on the page St James Horse Herd.